As Disney and Lucasfilm’s reset-version of Star Wars continuity has expanded over the years, slowly but surely elements of the old Expanded Universe have made their way back into canon. Lucasfilm acknowledged there’s more on the way in the future... so, where do you want them to get started? Honestly, I got my biggest wish granted when Grand Admiral Thrawn arrived in Star Wars Rebels—an announcement I am forever grateful to have witnessed live at Star Wars Celebration Europe back in 2016. So with that done, I’m sort of the belief that as long as it’s not the Yuuzhan Vong, I’m fine with pretty much anything coming back whenever Lucasfilm wants them to. Except maybe I’d like Darth Revan—villain and (spoilers for a 15-year-old video game, I guess) actual reformed protagonist of the Knights of the Old Republic series—back, if only to retroactively drag the Old Republic era, thousands of years before the films, back into relevance with him. I’m fascinated by that period of Star Wars history thanks to falling in love with KotoR and its sequel as a teenager, and it has such potential for exploration in the new canon. 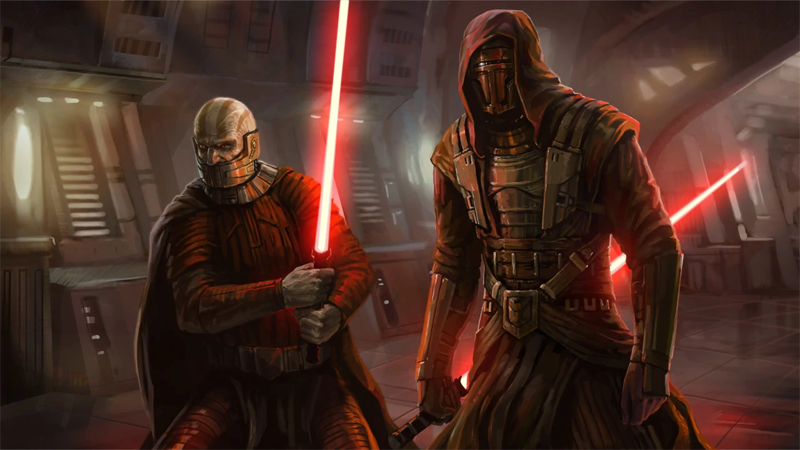 Plus, Darth Revan just looks cool. Or maybe I’d just go with Hohass Ekwesh. That’d be a fun one for approximately 3 people including myself to be excited for! Let us know in the comments who you’d want to see restored to canon in the galaxy far, far away.